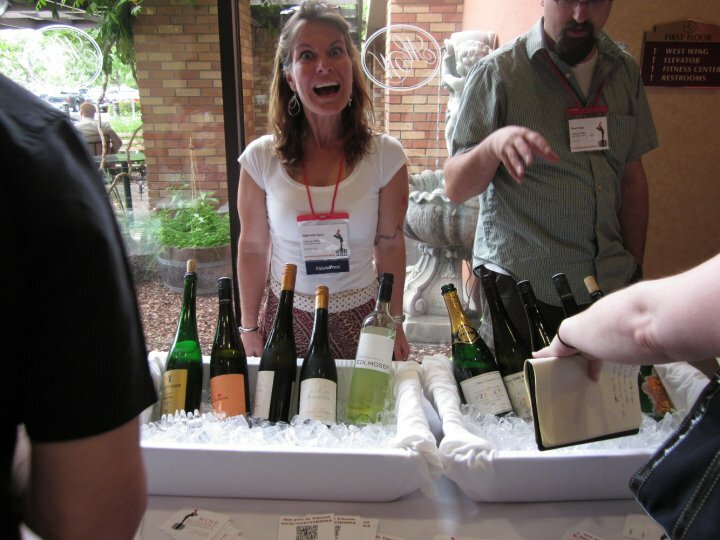 This years US Wine Blogger’s Conference in Walla Walla, Washington was an event to be remembered. Bloggers, industry folk and social media gurus gathered together to embrace the collaboration of the wine world and the internet, to drink good wine and to meet up with friends, old and new. As the Austrian Wine Marketing Board is the sponsor of the European Wine Blogger’s Conference, to be held in Vienna October 2010, naturally, Austrian wines made an appearance. Poured by EWBC organizers Ryan and Gabriella Opaz of Catavino, Austrian wines were the stars of the opening walk-about tasting Friday afternoon. @HokeHarden: Rudi…Rudi…Rudi! Pichler 2008 Riesling Federspiel #WBC10” #ewbc yess good choice! The tasting showcased a variety of grapes and regional differences that gave many tasters a first look into the world of Austrian wines. We’re confident they’ll take another look soon! The display at the WBC 10 was the last of a series of kickoff events held in the US for the EWBC – the first in NYC, the second in Seattle. Many US bloggers engrossed in the momentum of both the WBC and the promise of a similar experience in Vienna have already registered for the EWBC. We hope you can join us too!